"It looks spectacular! Just what we wanted. You have my unqualified 'go ahead'! Let's get this show on the road. Launch!!" 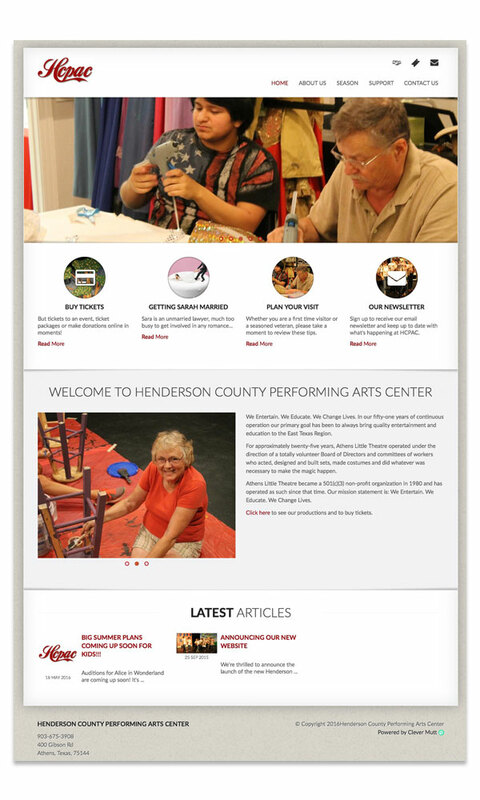 Henderson County Performing Arts Center (HCPAC) hired Clever Mutt to refresh their website with a new mobile responsive design and features powered by the Clever Mutt Portal custom CMS. 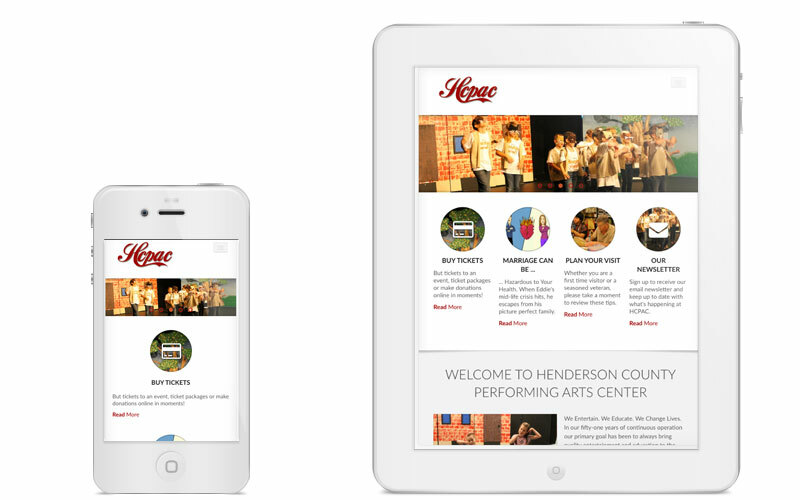 The new responsive website includes performance schedule and details, albums, galleries, a blog, ticket purchase integration and much more. HCPAC entertains, educates and changes lives. 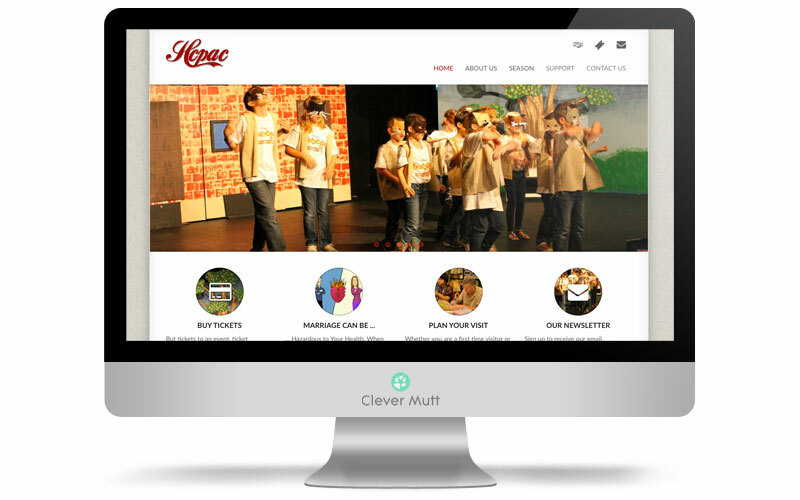 In their fifty-one years of continuous operation their primary goal has been to always bring quality entertainment and education to the East Texas Region.